Today, let’s talk about my favorite HORROR reads of 2018! I know I said these would be in no particular order, but I have to list this one first. If I had to pick a single favorite horror read of 2018 — maybe ever — it would be this guy. At the time that I read Siren, I hadn’t been legitimately frightened by a book in YEARS, but this book totally fixed that. There was a scene that scared me so badly I tossed the book down and went the hell to bed, with a nightlight on. I still get chills thinking back to one specific scene. I’m telling y’all, Jonathan Janz is a gem and a half, and this book is a masterpiece. 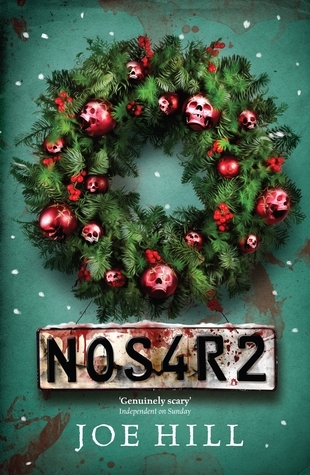 I can’t believe it took me this long of having NOS4A2 (or NOS4R2 in the UK) on my TBR before finally reading it, but WOW, it was brilliant and so creepy and fun. The audiobook is incredible and I highly recommend it; the narrator really brings the story to life. That said, any way you can get your hands on this one is worthwhile. It isn’t my #1 favorite Joe Hill read, but it probably showcases his writing talents the best, and offers a lot of homage to his dad, Stephen King. If you’ve ever heard me talk about Neil Gaiman, it’s no secret that, as much as I enjoy him as a general human being, I’m no big fan of his writing. This was my second attempt at this book, and I didn’t expect much, but I tried the full-cast audiobook and fell right in love. 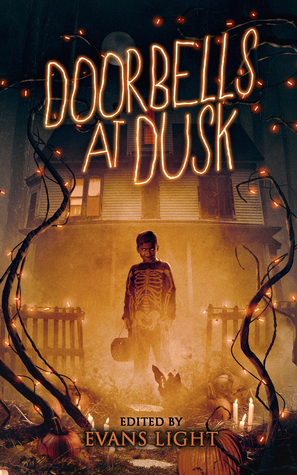 It’s a sad, whimsical, and simultaneously heartwarming spooky read that spans any age range. Its graveyard setting is so atmospheric, and the characters? They burrowed right into my heart and made me never want to leave. I love Victoria Schwab in general, but I — like many others — was a wee bit nervous to see her tackle a middle grade story. No need, because she did it just as excellently as she’s done everything else, and man, I LOVED this book. I couldn’t put it down. Cassidy is such a relatable and lovable protagonist who reminded me a lot of myself as a kid (minus the ADORABLE ghost best friend), and the adventure she goes on is a blast. On top of it all, the Edinburgh atmosphere is haunting and gorgeous. There are three things I really love in life: Christmas horror, short story collections, and camp (meaning, when horror allows itself to be silly and fun, too). This collection’s got all three in spades, and it’s so over the top and hilarious at points (while other stories are pretty tragic and/or creepy as heck). It’s rare that I have as many beloved stories in a collection as I did with this one, and I 100% recommend adding this to your TBR for next Christmas (or any time, really). Speaking of holiday horror collections, while Halloween and horror go hand in hand, it’s not often that we get horror stories about Halloween, which made this collection incredibly special and fun. I read it in October, which was definitely the perfect time to read it, because I was so saturated in the Halloween spirit and this amped that up big time. Plus, the writing is great; in a collection of 15 stories, I listed 5 as my favorites, which is an unreasonably good “favorites” ratio for an anthology review from me. Remember what I said earlier about how much I love over-the-top horror? 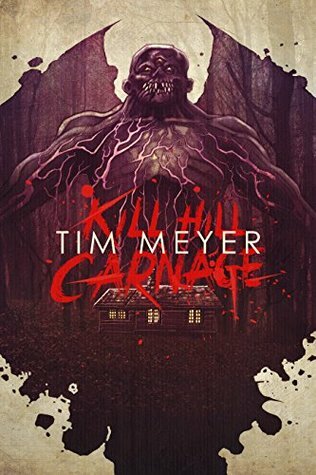 Well, take that over-the-top nature, throw in a ton of graphic gore scenes, and add a few terrifying mutated creatures, and that’s Kill Hill Carnage. 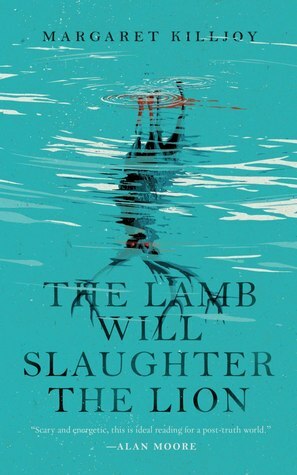 If you, like me, are the kind of person who reaches a scene graphically describing someone being dismembered by a demon and, instead of growing queasy, you laugh and go, “Sick!” this is 100% the right book for you. A lot of people might not know this, but I had never listened to a full audiobook, from start to finish, until 2018. I’d listen to snippets here and there and swap it out with the physical book, but I struggled to follow a full audiobook—until this story. It would be amazing in any format, but it works SO WELL and is so terrifyingly wonderful in audiobook format. Besides that, though, it’s a delightfully creepy story with a lot of interesting underlying commentary on religion and how the world views mental illness, possessions, etc. I won’t say anything else because it’s best to go in as blind as possible, but seriously, this book changed my life. I kept seeing friends rave about this one, so I went into it with pretty high expectations, and honestly, all of them were exceeded. I love a good slow-burn horror on occasion and this absolutely delivers, as it takes some time to get into the deep end, but once you’re there, all bets are off. The house is terrifying and disgusting and awful, the characters are flawed and complex and hard to root for despite being SO entertaining to read about, and the events that occur, well… stuff gets pretty damn messed up. First of all, if you want to know how much I rave about this book, my spouse — who does not read horror books at all, and almost exclusively reads high fantasy — is currently reading this book and loving it. 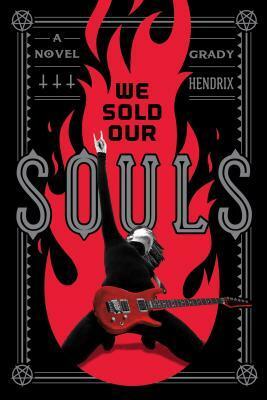 That’s how freaking good We Sold Our Souls is. It features a middle-aged woman as a protagonist, which is the first thing I loved (we never see that! ), and there’s a ton of talk about music, how incredible and impactful it is, and what band life is like, which was so fun to read about. Finally, the horror aspect is subtle and strange, but pulls out all the stops in the end for a bang-up finale. Let’s pop back to that seasonal horror I was raving about earlier, because this? 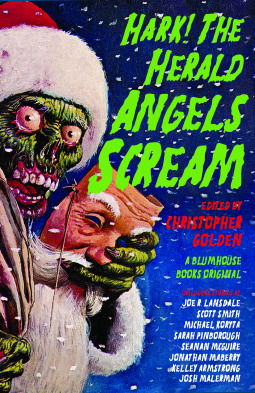 This is one of the best seasonal horror collections I can suggest. 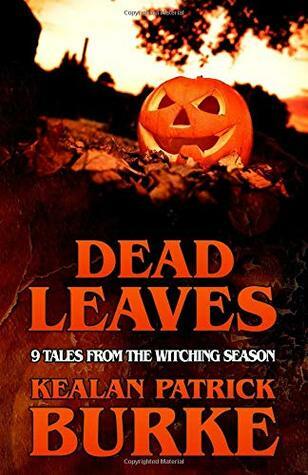 It’s Halloween-themed, if you couldn’t tell from the delightfully orange cover, and better yet, it’s the first in a series of seasonal horror collections Kealan is working on (if you’re curious, Dead of Winter is the next in the series, and it’s amazing, too, and will undoubtedly be on my “best horror of 2019” list). 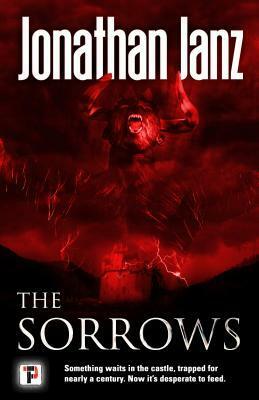 I couldn’t possibly make it through this list without raving about another Jonathan Janz title, so here we are: The Sorrows is about a group of people who get stuck in a haunted castle, on a haunted island, and a bunch of really bizarre, gruesome, awful stuff goes down. 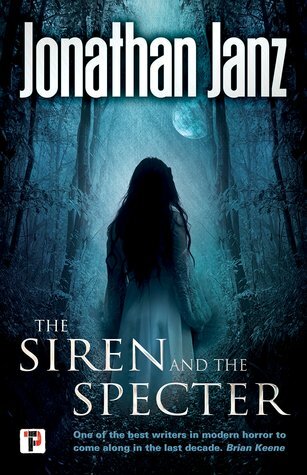 Jonathan has this awesome way of juxtaposing the supernatural horror with the awful things humans are capable of, and he showcases that really well in this one, too — I don’t know what’s scarier, the “monster” or some of the men! 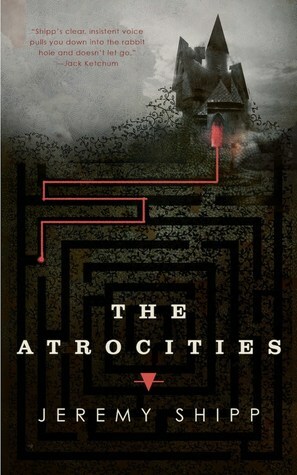 If you enjoy gothic horror with a psychological twist, you can’t go wrong with this super creepy novella. I mean, wow, some of the imagery Jeremy paints with his writing in this one still puts me on edge when I think about it! There’s also a really tragic, haunting layer beneath the fear here, and that’s something I love in horror: when it can frighten you and evoke other emotions, too. 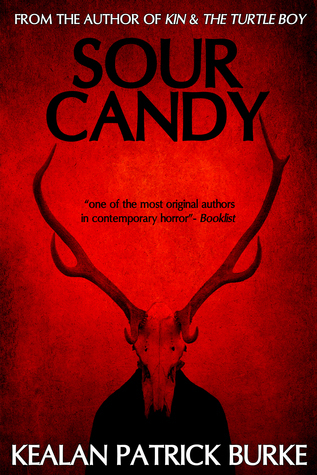 Plus, who doesn’t love a horror novella with a creepy-kid character? I actually didn’t realize I hadn’t reviewed this until compiling this list — shame on me! — but it’s probably because it’s just hard to say much about this one without spoiling things. It’s really the sort of story you should go into knowing as little as possible, but I do feel safe letting you know it features a REALLY creepy small child (again, who doesn’t love that?) and it’s an incredibly quick-paced read you’ll fly through and wish you had so much more of, if you’re anything like I was. Something horror frequently lacks is diverse representation, and if you agree with me on that, bam, here’s an author for you to check out. Margaret’s a trans author writing stories that feature super diverse casts (queer & POC rep, among other things), but she also knows how to tell a damn creepy story and paint a beautiful scene while doing it. I couldn’t decide if I wanted Freedom, Iowa to be a real place so I could avoid it, or so I could run happily into the center of it and live there forever because, let’s face it, a demonic deer that kills rapists and abusers? Bring it on. That’s it! Those were my 15 favorite horror reads of 2018. Omg A Head Full of Ghosts is my FAVORITE! It’s so unsettling and weird and AHH! I’m so glad you loved it! I really need to pick up Siren and the Spector again. I didn’t get very far when I started it, but I don’t think I was in the mood for it at the time. This is a great list! It’s sooooo good! And I really hope Siren works better for you next time! ❤ Thank you! 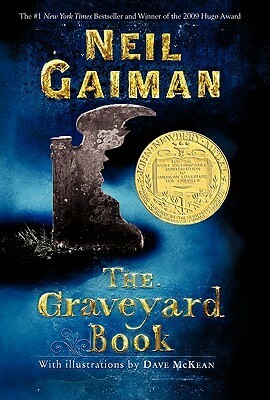 Gaiman’s The Graveyard Book is one of my atf! I’m planning to reread it this year as I now have the full-cast audiobook and a hardcover copy!! 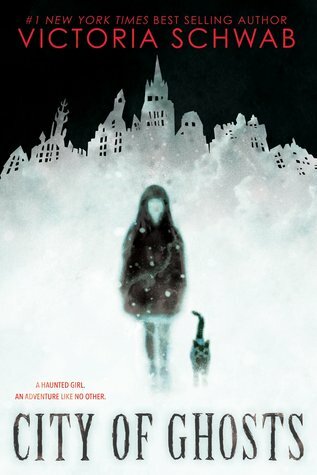 I also would like to read City of Ghosts! I’m still only in the middle grade section for horror… 😉 Oh, have you read Lockwood & Co? I’m planning that this year too! Haha, nothing wrong at all with MG horror! ♥ City of Ghosts was so good and I hope you love the full-cast audio reread of TGB! I have the first Lockwood & Co book and I’m hoping to get to it soon because I hear SUCH good things about it!! I think I have ALL of these on my TBR because of you (except for A Head Full of Ghosts, which I’ve already read, and Grady Hendrix’ because I don’t love their writing), so I don’t know why I was expecting something new in here, ha! It’s nice to see your definitive favs all together though, for future reference. Great list!! I loved quite a few of these in 2018 as well! I really want to get to Kill Creek this year. That’s one book I had on my 2018 TBR that I was most bummed about not getting a chance to read. Thank you! 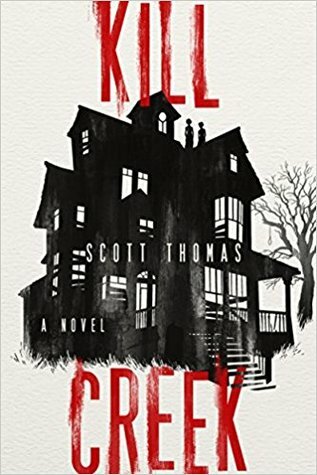 I hope you like Kill Creek when you get to read it! I love The Graveyard Book! I read it and the graphic novel adaptation for a class and completely fell in love! Yay, I was hoping you’d make a horror list! And can’t agree more with you re: A Head Full of Ghosts audio. SO GOOD. 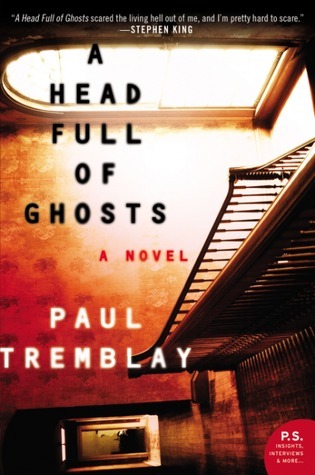 It pretty much sold me on Paul Tremblay, though nothing I’ve read by him since have been as amazing as AHFOG. Kill Creek, also amazing. I can’t wait to see what the author works on next. Haha aww, thank you! 😀 And yes, yes, yes to AHFOG. I haven’t read any other full novels by Paul yet, but I own Cabin and just got an eARC of his upcoming short story collection, so I have high hopes! I know, I am waiting for the next book to make me sleep with my lights on!